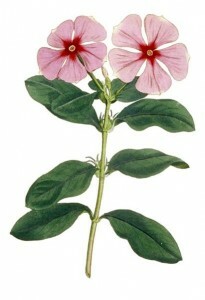 Also known as the Lesser or Rosy Periwinkle and the Vinpocetine, Periwinkle is a plant that grows up to 2 feet long. It seldom grows larger and usually just stays put in the ground. It has lavender flowers and is a very nice ground cover for garden enthusiasts. 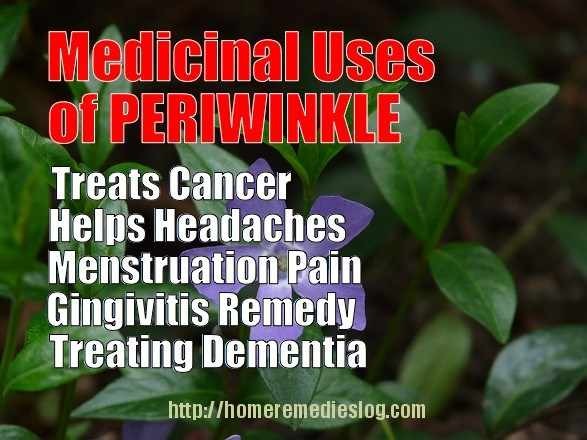 Periwinkle goes way back when it comes to medicinal benefits. It has been used for a long time in China and some parts of America. Native Indians used the periwinkle extract to treat painful wasp stings. Folklore says that the Europeans called the plant magical because it wards off evil spirits. Periwinkle has some great health benefits. This plant is so strong that it has been used to treat cancers such as leukemia, lymphomas, neuroblastoma and Hodgikin’s disease. It helps in managing headaches that are brought about by anything. 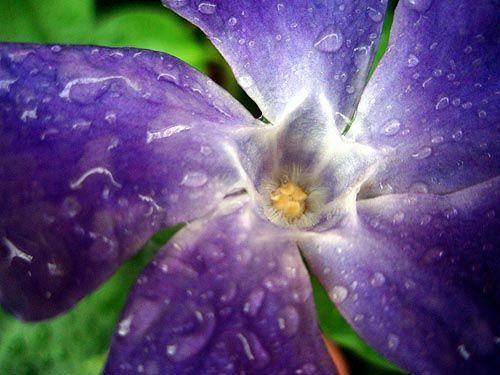 If a woman is experiencing strong menstruation, they can also use periwinkle to ease the discomfort. 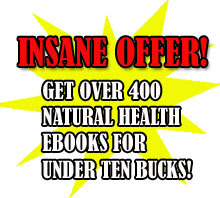 Recent studies have shown that it has shown to help with people who have poor memory. It is also a great remedy to gingivitis or gum bleeding. The plant also slows down the hearing loss process that comes with aging. This is very good news for the elderly. It also helps in treating dementia like Alzheimer’s disease and makes it more manageable. If a person is going through dialysis, periwinkle reduces the calcium build up that could occur. Periwinkle is available over the counter as a liquid extract, in powder form, in a capsule or in filmed tablets. If you have a periwinkle plant at home, you can use it to make tea or use it as a decoction to drink. The parts of the plant that are usually used are the dried leaves, aerial parts of the flowering plant and the whole plant itself. No side effects have been recorded so as long as proper dosage is administered.